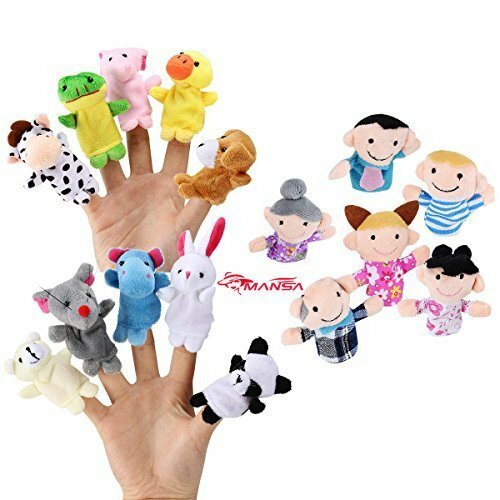 Home › Toys › 16 Pack Finger Puppet Set - Mansa 10 Animals + 6 People Family Members Educat..
16 Pack Finger Puppet Set - Mansa 10 Animals + 6 People Family Members Educat..
Super Soft With Comfortable Texture, It Will be a Good Companion of Your Child. MANSA 16 Pack Finger Puppet Set - MANSA 10 Animals + 6 People Family MembersEducational Toys for Children, Story Time, Shows, Playtime, Schools Kids loveit so much: These lovely and nicely handmade puppets has so life-like facethat you can't help hug it. It will bring your children more surprise and funin life. It is a soft, lovely and fantastic gift to your friend or kid.